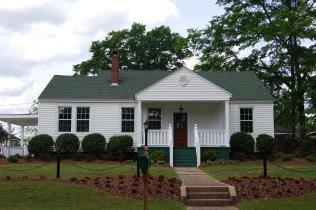 About: Pepperell Village is one of Opelika's first neighborhoods with home construction dating back to the 1920s. This is a great subdivision with many recently remodeled 1, 2 and 3 bedroom Opelika homes, as well as some that need tender loving care. Affordable cottage style properties with easy access to major roads make this a desirable location for real estate investors, first time home buyers and professionals alike. Location: Off of Pepperell Parkway.